A handful of ingredients make up the most delicious and healthy salad. The dressing is creamy delicious too. Enjoy! 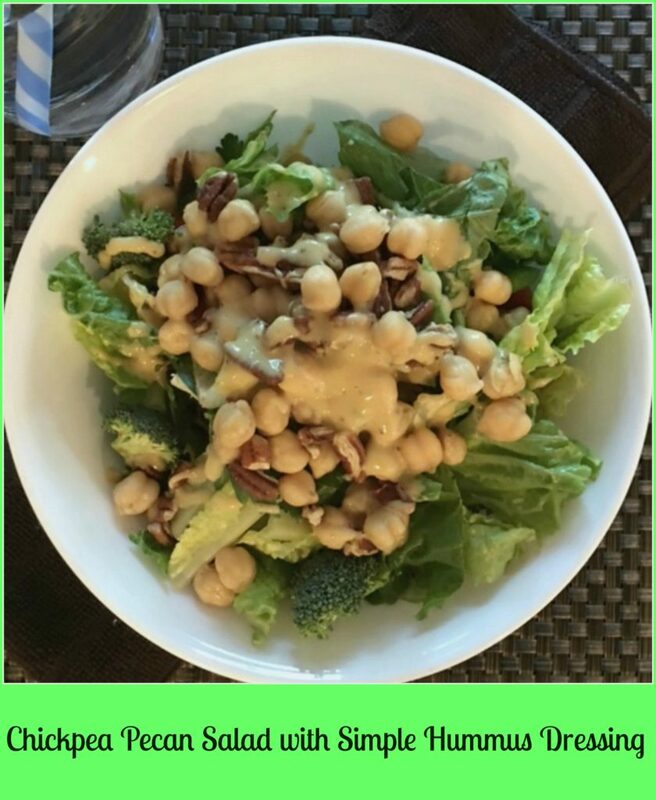 For a delicious salad idea, try this fast and easy salad recipe with the most delicious and simple hummus dressing. 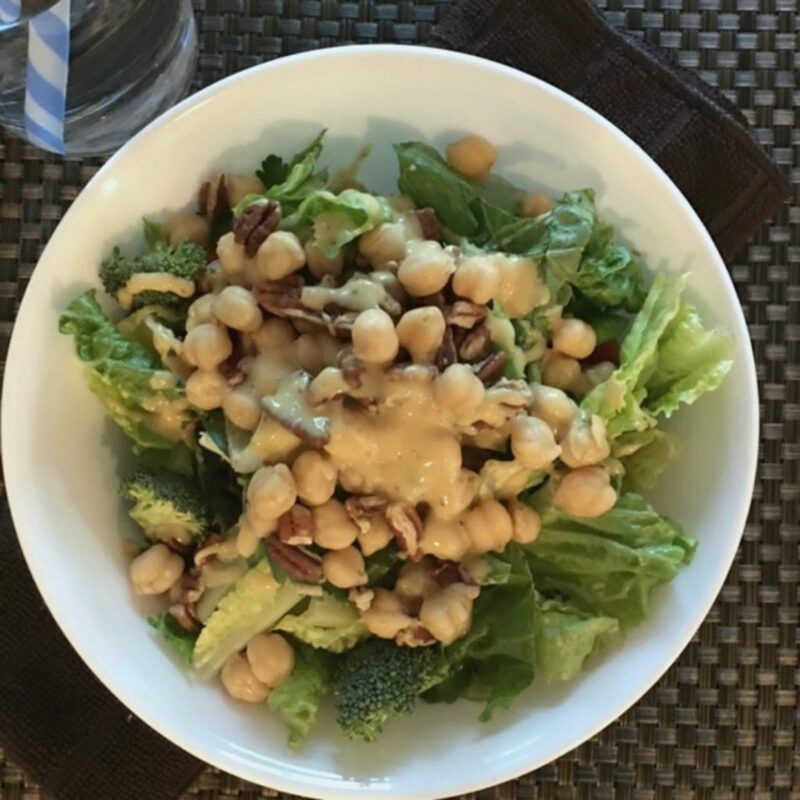 The dressing really complements the chickpeas in this salad. Add any veggies you like to make it exactly the way you like it, just remember to make the dressing. It’s so creamy and delish. Healthy too! In a small bowl, whisk together all ingredients until smooth and creamy. You may want to pop in fridge for 30 minutes to meld the flavors together. Or, spoon over salad right away. Either way it’s delish. ENJOY! *Note: Dressing keeps covered in fridge up to two days.